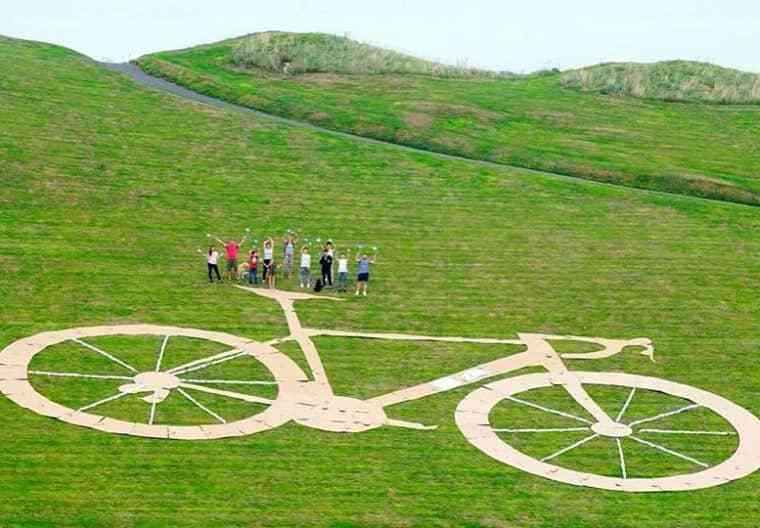 A giant bicycle carved into a hill to celebrate the Tour of Britain cycle competition was turned into a large p**is by enterprising vandals. 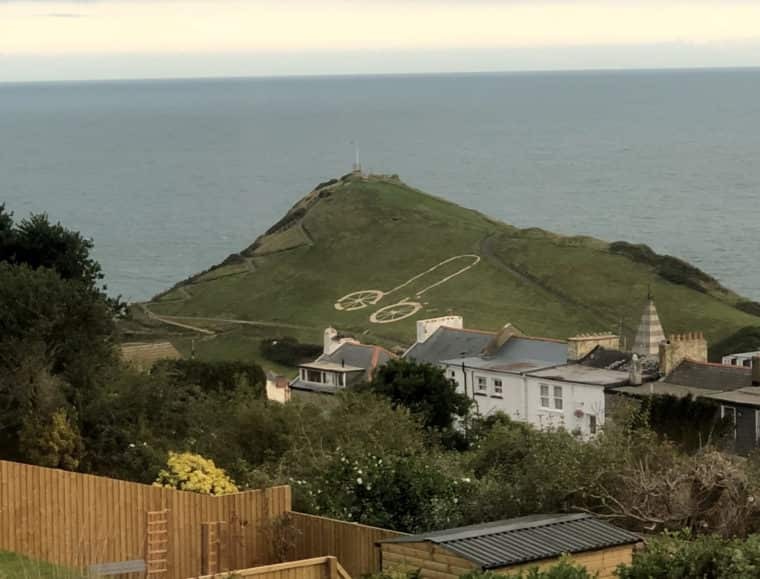 Residents of the English seaside town of Ilfracombe, Devon woke this morning to the rude image. The wheels of the bike were cleverly turned into giant testis, while the handlebars were rearranged to form a giant gentleman’s anatomy. The bike before its radical transformation.